ZIMBABWE – HARARE – Zimbabwean President Robert Mugabe said on Friday his country’s military and other security services were supporting different candidates to succeed him, warning that this could ruin the ruling party. Speaking at an annual conference of his ruling ZANU-PF party in the resort town of Victoria Falls, Mugabe, 91, said one of the major problems confronting the party was ambitious officials angling for positions, which was destabilizing the organization. 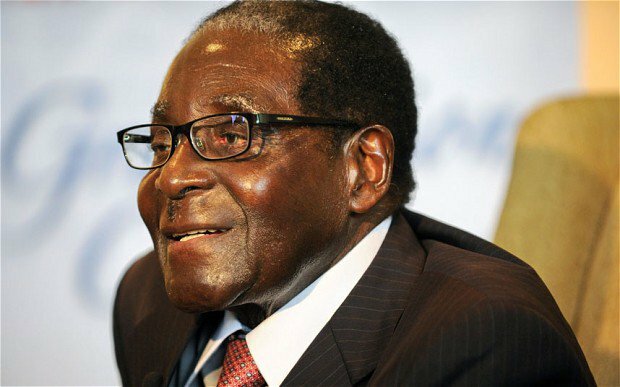 One of the last from a political generation that included the late South African president Nelson Mandela, Mugabe is expected to be confirmed at the conference as ZANU-PF candidate for the next presidential election in 2018, when he will be 94. The next ZANU-PF elective conference is in 2019, when a new leader will be chosen. Senior military sources in the southern African nation say the security establishment is deeply loyal to Mugabe, whom they see as the main stabilizing figure in the country and the ruling party. They however have different views on who should takeover from Mugabe when he either retires or dies. “People were coming to me asking whether it is good that the military, the police, the intelligence are meddling and standing behind different candidates. Let’s stop that completely, we are ruining the party that way,” Mugabe said in a televised speech. Africa’s oldest leader, Mugabe is the only ruler the nation has known since independence from Britain in 1980. Political analysts say Mugabe has positioned himself to be president for life while his wife Grace, who was propelled into the top echelons of the ruling party last year, has emerged as a ZANU-PF power broker in her own right. Mugabe is presiding over an economy that is struggling to emerge from a catastrophic recession between 1999-2008 and is grappling with low prices of commodity exports and a drought that has left a third of the population in need of food aid.